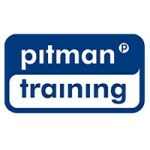 This is a course to take you from novice to a Pitman Teeline shorthand speed of 40 words per minute. Beginning with the basics – the alphabet – we’ll lead you gently into shorthand Teeline style step-by-step, moving on to give you full confidence in the workplace. This is a self-study course and you’ll have the flexibility to work at your own pace. For further career progression, we recommend our Shorthand Speed Development course or our range of specialist secretarial courses, which can help you to develop your full potential.